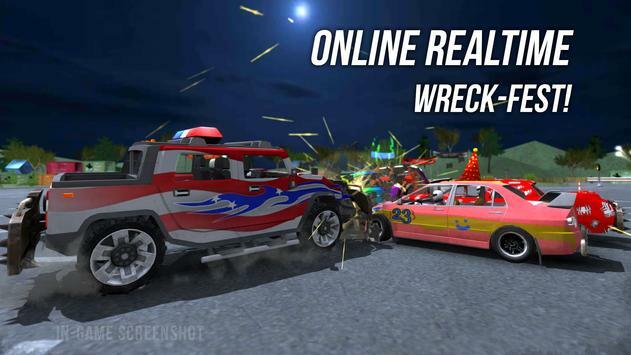 Online & Offline car crashing fun! The real time online multiplayer Demolition Derby game. Download and play against your friends and rivals for free! Choose from various cars and tracks and hit the Play button to instantly play against demolition derby rivals across the globe worldwide. Easy to play, but buckle up and fasten your seat belts as you smash your way to victory and become the next big demolition derby sports champion. Bang and sup up the wannabee competition in this next generation racing game experience! Not only can you play against (random) players, but you can also setup your own private matches against your friends, family or rivals. One player should first select HOST from the main menu to host a private match, then select the preferred track. The host will then get a LOBBY ID which can be shared with friends to join the private match. The other players can now select JOIN from the main menu and enter the LOBBY ID to join the match. This is the ultimate party game mode sitting together on the couch or together on your barstool at the pub. Chase, smash and crash into your opponents and see the full physics and damage emerge in front of your eyes even when playing online (3G, 4G, or WIFI) in realtime against rivals. Play live PvP games with up to 5 real players using the Destruction Crews' new breathtaking peertopeer multiplayer technology that has been optimized over the past years. This game extends the horizon of multiplayer gaming like never before. 1. Cornering: Steer while applying the nitro turbo will give you enough torque to make a sharp turn. Release throttle just after nitro boost to make a rapid turn. 2. Turbo (nitro): It launched you like a rocket, but try not to burnout your nitro completely. For a quick recharge don't use completely and smash a rival quickly. 3. Contact time: Be sure to hit a rival before the contact timer runs out; be aware that failing to do so will dismount your wheels and you'll be wrecked. 4. XP: The best way to levelup quickly through the XP league is to earn badges during the races. Welcome to the club! You are now one of the proud owners of your own derby racing car with a driving permit to join the derby events! The voyage is long with many challenges ahead as opponents all over the world will soon test your driving skills. Building your own driving style is key to find what best works vs. your adversaries; do you choose to become a smart driver who waits for its prey at the moment of truth, or are you the dare devil that goes for an all out combat approach to knockout and annihilate its rivals. You have access to multiple venues like the round dirt pit track and the parking lot where things can get dirty. Hear the dinger loud and be seated for a 2 minute derby event where all your honor and glory is at stake. May the best driver win! Destruction Crew (DC) offers you the new keep/capture the flag mode which lets you chase down your rival that holds the flag. Be careful as you aren't indestructible when you keep the flag and you'll need to avoid capture vs your racing opponents. 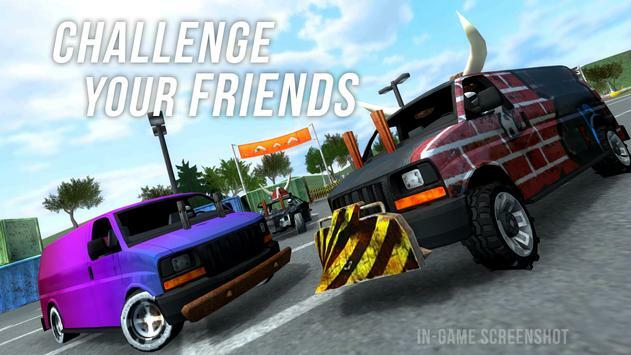 Welcome to demolition derby paradise and unite in a world tour against other demo derby rivals. This is not your average multiplayer racing game! 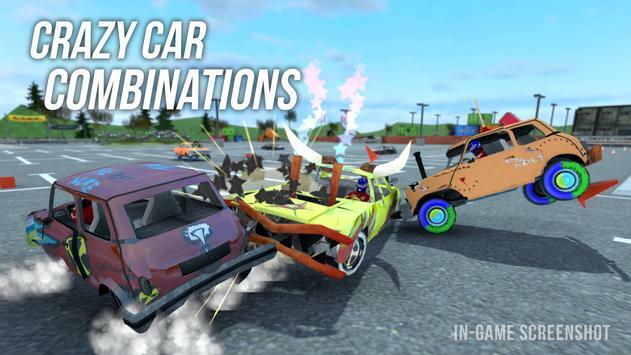 Hit the install button and join the destruction and mayhem with Demolition Derby Multiplayer. Download and install for free now! Please review Demolition Derby Multiplayer Game and submit your comments below. We will collect all comments in an effort to determine whether the Demolition Derby Multiplayer app is reliable, perform as expected and deliver the promised features and functionalities.